Don Groppetti, left, of Visalia Honda in Visalia Calif., and Eric Van Olst, American Honda Motor Co.'s zone sales manager. 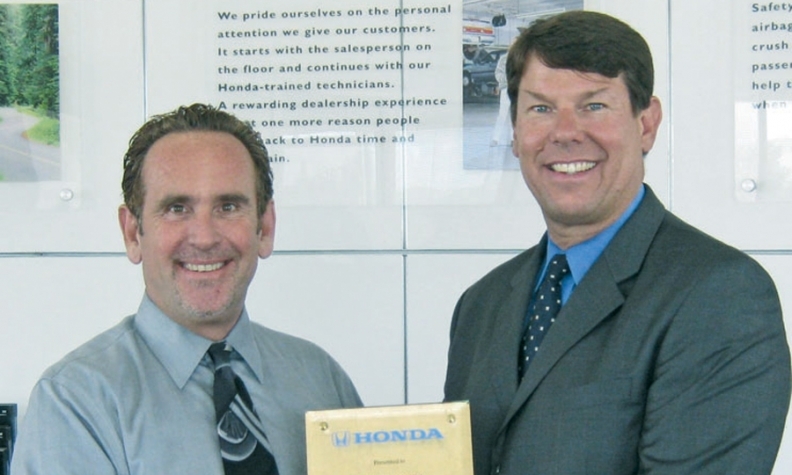 Don Groppetti, left, of Visalia Honda in Visalia Calif., receives a 30-year award for Honda from Eric Van Olst, American Honda Motor Co.'s zone sales manager for northern California. 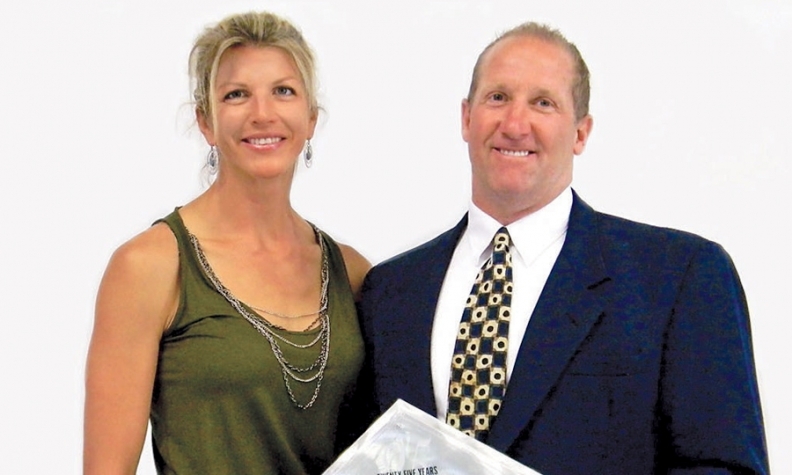 Chuck Van Horn of Van Horn Dodge-Chrysler-Jeep-Ram in Plymouth, Wis., received a 25-year award for Dodge from Chrysler Group. With him is his wife, Trina.